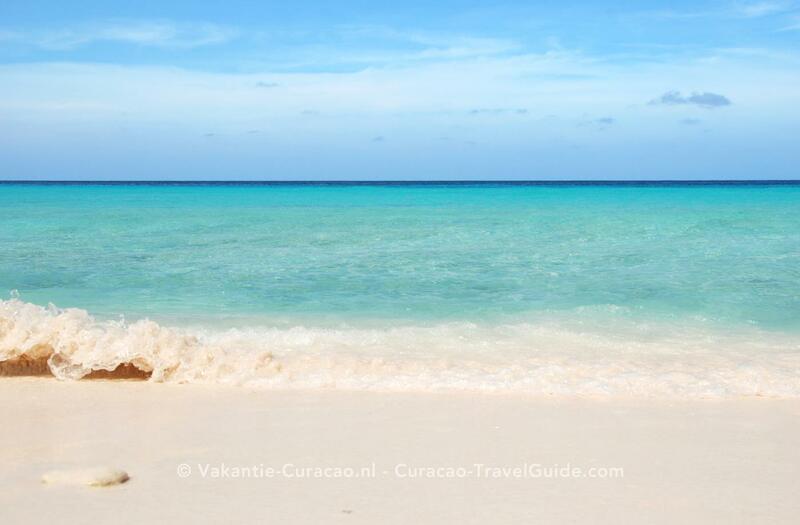 Kunuku Aqua Resort is a 10-minute drive from Curaçao’s Hato Airport and 5 km from the best beaches. It offers a large outdoor pool with a slide, free Wi-Fi and free parking. 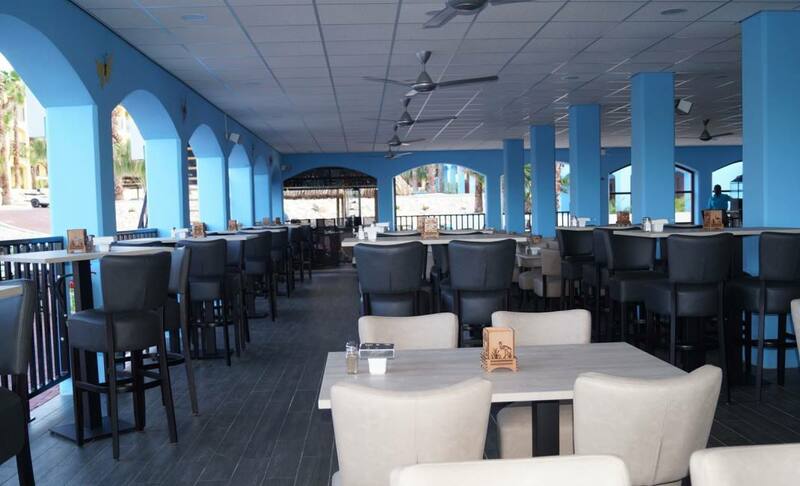 The complex has a bar and a restaurant. There is also a small shop. You will find restaurants, shops and a diving school 10 km from the resort. 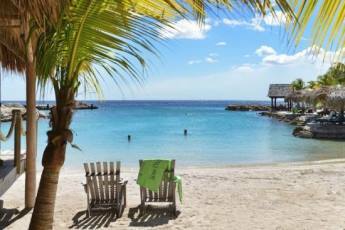 Kunuku Aqua Resort Curacao offers apartments and (family) rooms. The choice is yours! 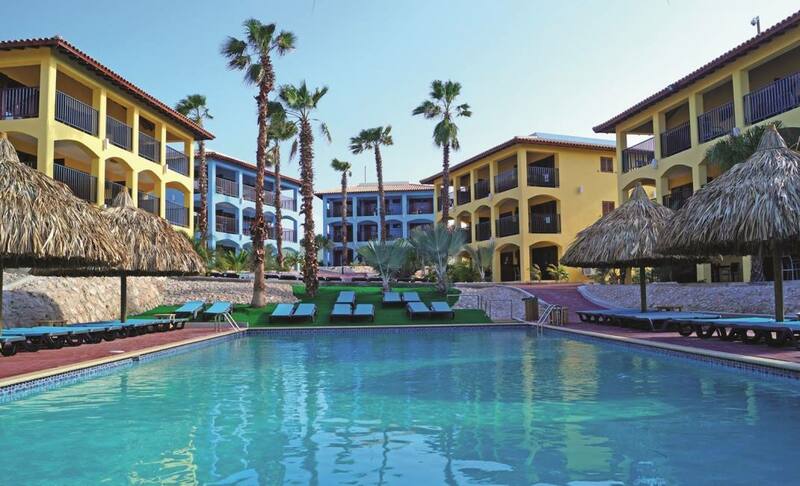 All spacious and luxurious four-room apartments have a living room with television, fully equipped open kitchen, air conditioning in all three bedrooms, two bathrooms with shower and toilet and a terrace with seating. For added convenience, you have free Wi-Fi and a safe. The hotel rooms (standard Slide called) of Kunuku Aqua Resort Curacao are comfortably furnished with air conditioning, TV, coffee and tea making facilities, a stylish bathroom with shower and toilet, minibar (free on arrival, after payment), free WiFi and a safe deposit box. a spacious terrace with seating. 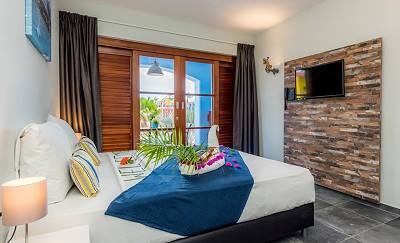 The family rooms of Kunuku Aqua Resort Curacao have a separate bedroom with air conditioning and living room. In the living room is a luxurious sofa bed for one (type Enjoy) or two persons (type Swim). In Kunuku Aqua Resort 2 large swimming pools, one with and one without a slide, provide the necessary water fun. Are you a real daredevil and are you looking for something higher up? Then 2 slides of 13 meters high wait for you. 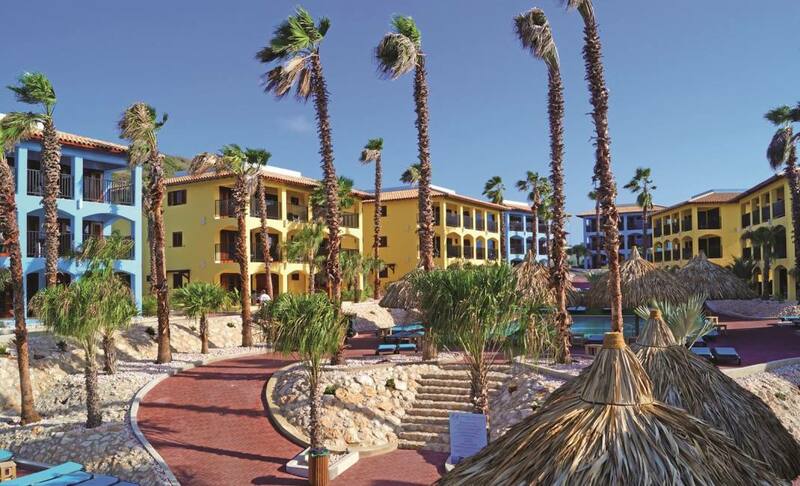 For the little ones there is a specially equipped children's pool with play equipment. Around the pools you can settle on one of the sunbeds. If it gets too hot, find a shady spot under a parasol. Bath towel service (free of charge twice a change). At Kunuku's Hut, the cozy bar on the resort offers a snack and a colorful cocktail. The young hotel guests will have a great time. Besides the normal slides there is also a huge inflatable slide, there are several playgrounds and a special children's pool. Furthermore, there are sufficient cots and highchairs available (free of charge). There are even three house turtles called Billy, Miss Turtle and Freddy. During the holiday periods, extra activities are organized for the kids by the animation team. 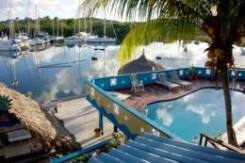 You can now also stay on the basis of Bed & Breakfast in Kunuku Aqua Resort. 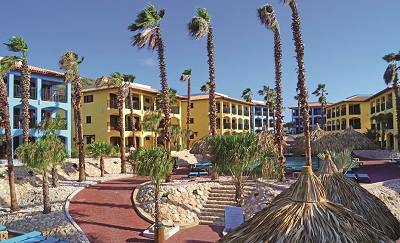 You can book All Inclusive at an additional cost.